Today is another day where I'm going to pay it forward. So I'd like to tell all you lovelies (guys included, 'cause you're all so very lovely too) about two contests. That's right! Not one, but TWO contests. Sylvia is offering to critique the first 1,000 words of your manuscript. All you have to do is follow her blog and leave a comment. Plus, if you mention her contest on your site you will be entered a second time. Sylvia is giving away five crits! 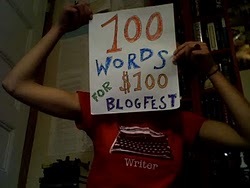 Elana is hosting her 100 Words for $100 Blogfest all month. All entrants have to do is write a 100-word sentence. The more people that enter, the higher the prize money gets! Hey, struggling writers all love the color green, meaning COLD HARD CASH! Check it, check it, OUT! 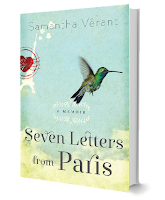 I'm not entering either of these contests, just sharing some blog love. Booya! Err, wait! Come back! I'm not finished! My own "contest" didn't exactly work out the way I'd anticipated. With that said, I've got to "tweak" my grandiose scheme. In the interim fifty people – at one point or another, maybe more – backed Mutants (ten of you guys). Rather than wait for more backers, I will be donating my whole library of YA books to a charity, which I will need my Mother's assistance with as they are back in the States at her house. I will have two drawings for the query critiques next week, which have been offered by Jill Hathaway, author of the upcoming novel SLIDE,and Sara Raasch, repped by KT Literary. The following people will be entered into this auction: Kelly Polark, Joanna St. James, The Enigmatic Masked Blogger, Dominic, Colene, Sara Louise, Sarah Hague, Rainy Day Treat, and Jamie Burch. The first four of these folks will be entered THREE times. (They tweeted, blogged, etc. AND filled out the form!) Please let me know if you DON'T want to be included in the drawing. Also, I do hope you've followed Jill and Sara-- they both have lots of exciting things going on! As for the web site: I will still give away twenty hours of design work for a web site, but I have to tweak this. Maybe this will be an ongoing contest? The way I'd structured it; nobody would ever have won. So I'm mulling this one over. Do any of you even need a web site? Should I come up with something else? Maybe ten, twenty-five, and fifty page line edits on your MS? Remember: if you're hosting a contest, I'll blab about it on Wednesdays, where everything is ALL WRITE! Leave it to Bieber! And dam Lois Moss! 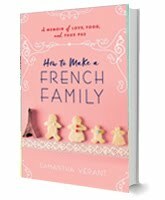 Working on my author web site!